• The start of a brand-new regular column on aerials (antennas) for all bands, of interest to all readers, whatever their special interest. Title: Aerials Now! 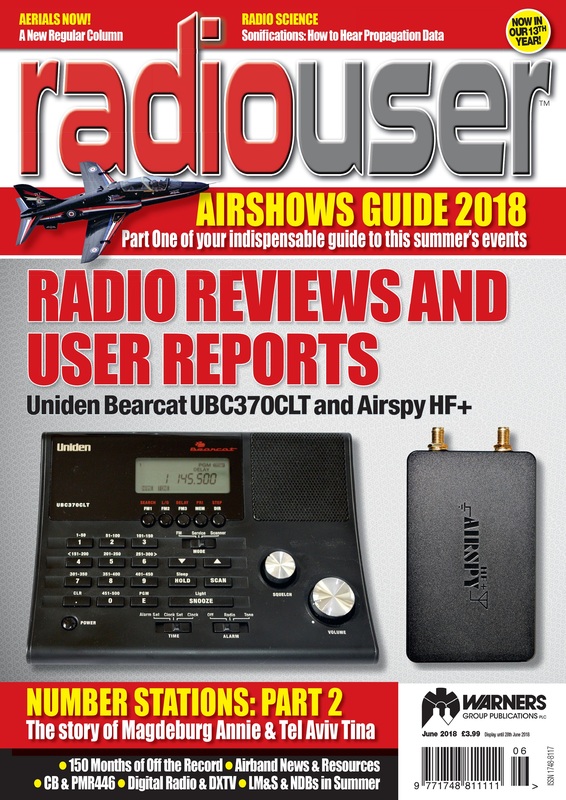 • Two Reviews in this issue (Airspy HF+ and Uniden UBC370CLT). 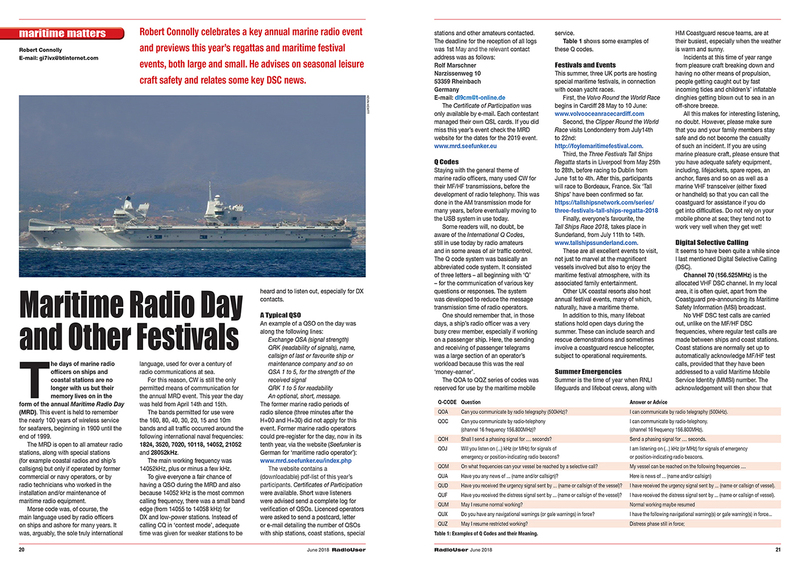 • Part 1 (of 4) of our annual, indispensable listing of Air Shows in the UK; the most comprehensive one available anywhere. • Part 2 of our mini-series on Number Stations, Radio and the Cold War (Part 3 to follow in July). 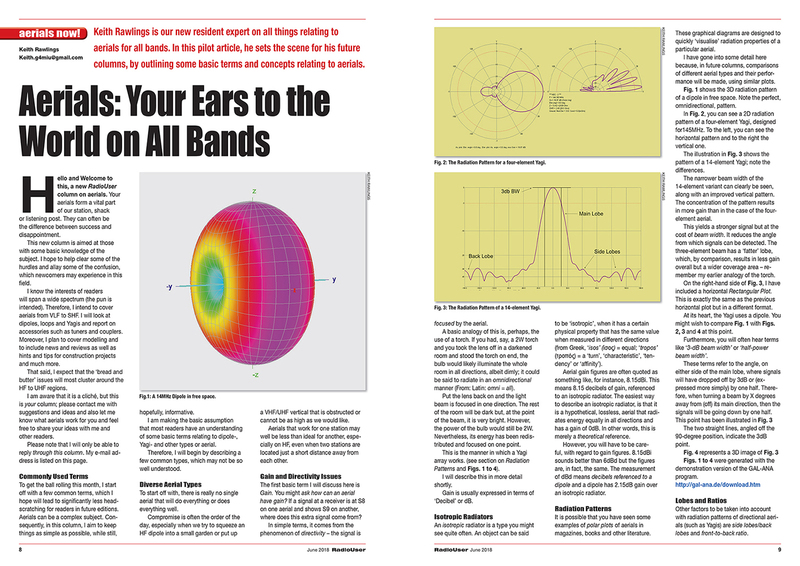 • Part 2 (of 4) of our quarterly column on Non-Directional Beacon (NDB) DXing. Print edition on sale 24 May 2018, Digital edition on sale 17 May 2018.